I’m really not a fan of the ‘stacked’ version of the new logo used here. I don’t think it should be stacked at all, but it’s done in such a way that there’s a massive gap between the two words, like they’re completely separate. Just watched a YouTube review. The emitter rotates! a review of the character one? Will the character version have the rotating feature? I actually really like this as it breaks away from the norm of sonics previous, kind of like Jodie herself. I like this to the point where I may use it as my sonic for my oc cosplay. It would be rather pointless for the CO version to have the 2nd button if the rotary function wasn’t included. Looking at the crew placements I think it’ll spin. I like this design. I’d hoped for a design simpler than the previous two (I love them but they’re very show-offey) so I’m very happy. It could be a narrative reason. Just because one prop is a little different you think all hope is lost? I like it , the silvery look is cool and it looks sleek ! What happened to the 10″ 13th Doctor page? So are the CO and Seven20 Sonics exactly the same product? yes other than package, same designer , same item. I wonder if character options will actually revitalise the Doctor who merchandise with the launch of this new series. It’d seem wise to do so especially with the series entering a new era and bringing in a new audience. 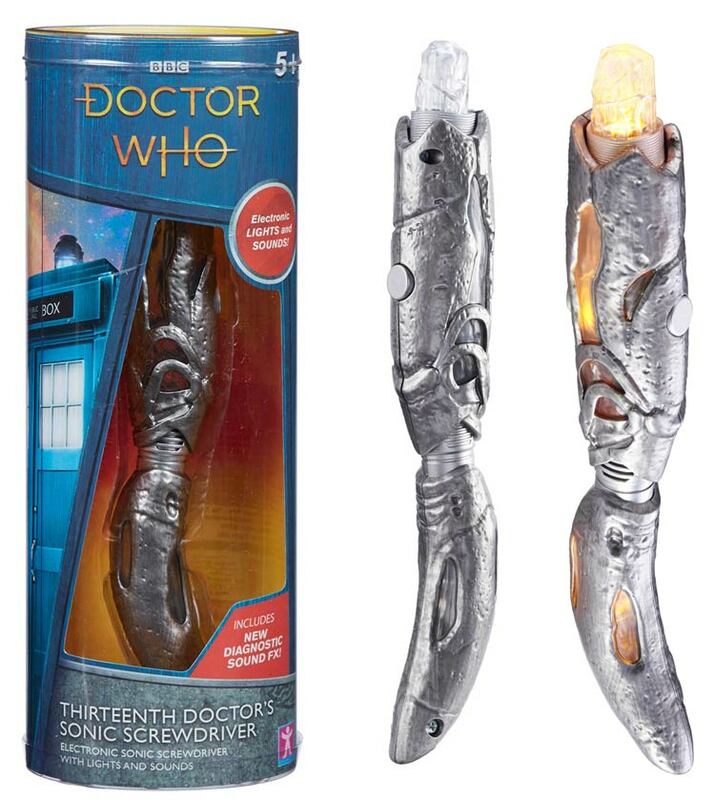 There’s definitely more than just a 13th Doctor figure coming from CO’s side of things, there was a 13th Doctor Electronic TARDIS listed alongside the 10 inch 13 and this Sonic toy a while back, before they were officially announced, so that’s definitely coming alongside the other CO made figures. Really looking forward to seeing the new TARDIS and Jodie figure from CO. Hopefully they don’t disappoint. Do you know when/if this will be available to order from Amazon UK? Gotta make the most of that Prime membership y’allllll! Love the homemade scrap metal look and design. Far superior to Capaldi’s horrendous one. Pre-ordered to! Cannot wait! Does anyone know why there are two versions? This on made by Character Options is for the uk market, the other one made by Seven20 is for the USA. yes, seven20 have the license to produce products for the USA and Character have the license to produce products for the UK, there appears to be no connection between them now. My friend worked for Underground Toys US and now he is working at Seven20, working in the same building that used to be UT, and doing the same job he did at UT. UK and USA have different versions? One is wood grain? Really is the all. I really hope not. Well I’ll be getting which ever one is more easily accessible. Which will more than likely be this one. I just want a representation of it. We often get multiple companies producing their own versions of the Sonics. Is there still more to come from sdcc? wondered if we might see the 5.5″13th from seven20. Hopefully we’ll see a 5.5 before SDCC finishes! They’re really pushing the friends thing so hoping we see a Yaz, Graham and Ryan too! I like this, but why two buttons? You can see it better on the seven20 version. It’s the Seven20 version shown in the denofgeeksus twitter video. The spinning crystal looks pretty cool, no idea if the CO version spins? The CO versions packaging doesn’t mention a rotating crystal emitter, so I think the USA market Seven20 version really is superior now. Aghh. Looks good but why does the packaging have to hide the emitter! Didn’t they do that with another screwdriver once? But I do love the new packaging design. Character Options have really let themselves down. 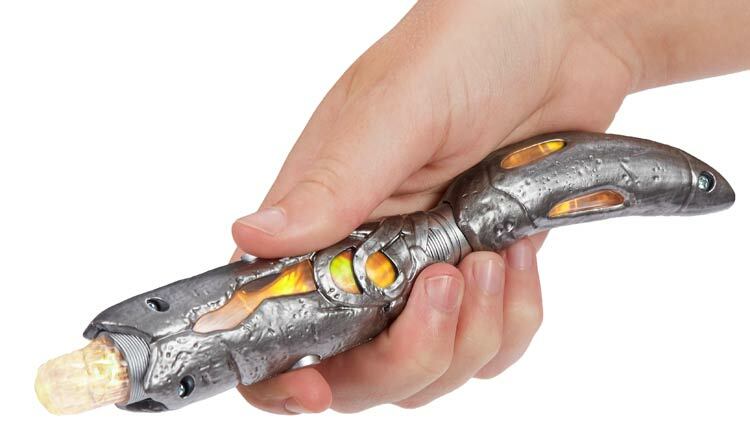 The 12th Doctor’s sonic was a near-perfect toy. This looks cheap, plasticky and just plain rubbish. If that split down the middle is visible on the PROMO shots, what will it be like on the actual toys?! Anyone know the price or release date? It looks Like a Cybermet was melted onto the Second Doctors Sonic. When will we be able to order??? I like it. Shame about the screws ruining the organic and alien look. Now why didn’t you know who at Character say “yep it’s good but we need to hide the screws!” It’s really annoying. Given that most people are right handed, CO should’ve put the screws on the other side of the sonic just like Seven20 did. Looking at the promo image of the hand holding this, it may actually be a left handed person holding the sonic and the image has been reversed. That’s why the screw holes are visible? 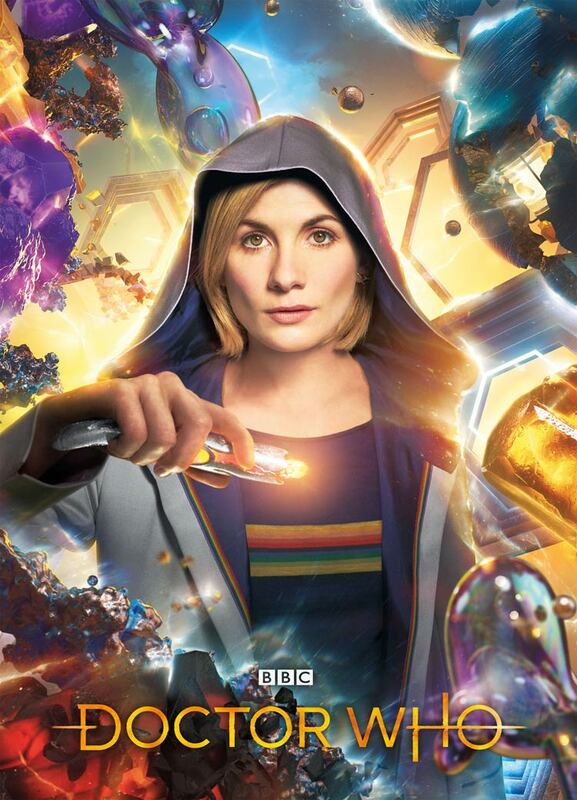 Scrap my last comment, if the pointy bit (that looks like a Cyberman’s finger) is supposed to point downwards when held, that makes the promo image a right hand and the screws will definitely be visible. Any idea of a pre-order date on this or is it yet to be announced? Actually looks really nice! So Seven20 is basically the new UT then. If they are linked with CO in this regional way, surely that means we can expect a 5.5″ 13th doctor from CO too?